NatCen’s British Social Attitudes survey has been tracking shifts in public opinion for three decades. But the survey itself has changed dramatically over the years, says NatCen CEO Penny Young. In 1983, the year NatCen Social Research (then SCPR) started the British Social Attitudes survey (BSA), CDs and camcorders were the latest technology, and New Romantics the height of fashion. Emails, laptops and mobile phones were still some way over the horizon, and cutting-edge research was very much a paper-based endeavour. Indeed, Roger Jowell, who led the BSA survey team, relied hugely on the skills of his personal assistant whose responsibility it was to type up every new iteration of the entire questionnaire. Rosemary’s typing skill and the speed of the typesetting pool made the early British Social Attitudes surveys possible. 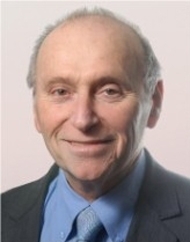 The survey was Roger Jowell’s vision, inspired by the US General Social Survey produced by University of Chicago, to fill the gap that opinion polling cannot. Thirty years ago, attitudinal surveys tended to be done on a very occasional and ad hoc basis, so we didn’t know much about what members of the public were actually thinking. One of BSA’s aims was to help policy-makers and researchers gain a more sophisticated understanding of people’s views, and to chart how these views were shifting. Other countries were on a similar journey, so NatCen quickly began to collaborate internationally so it could offer the research community cross-national datasets. The way that the survey is carried out has changed immeasurably since 1983. Of course, questionnaires are no longer typed up by hand, and since 1993 we have been using Computer-Assisted Personal Interviewing (CAPI) rather than paper questionnaires. Initially all of the information collected by our interviewers had to be inputted, coded and edited manually, and was then analysed using holes punched into cards. With the data safely stored, it then had to be shared with our authors. In those days, authors for each of the chapters were sent reams of paper tables for analysis. Today, we can quite easily email vast amounts of data to the chapter authors. But it’s not just the way we collect and analyse data that has changed with new technology, it is also the presentation. For BSA, the internet has brought about the end of the printed book, allowing us to share our findings far more freely than before. The first 28 reports were printed, starting out as a short report in 1983 before becoming a substantial hardback book. Today each new report is hosted on its own website, with chapters available for anyone to download for free. This year we have also launched an interactive data visualisation, allowing people to explore British Social Attitudes themselves and making the data easily downloadable for those who want it. 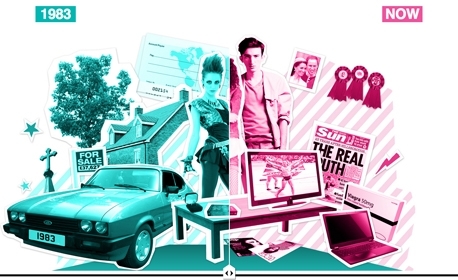 Technology has propelled British Social Attitudes forward. The fundamentals of the survey however – many of which are the things that make it stand it out in the field of opinion research – largely remain unchanged. We still use a field force of around 300 interviewers, spread across Britain, to carry out the survey. In fact, we even have interviewers still working for NatCen who worked on the very first British Social Attitudes survey 30 years ago. Chris Ward, an interviewer based in Derbyshire, has carried out interviews in every single British Social Attitudes survey. She has her own opinions about the new technology we use today, but has had to adapt with the survey as times have changed. And we still believe that through face-to-face interviews we give ourselves the best chance of getting to groups that other methods might not reach; those people who don’t sign up to panel surveys, or don’t have access to the internet. Using a random sample of addresses drawn from the Postcode Address File, a database of Royal Mail postal addresses (rather than the Electoral Register which we used in the early years of the survey) our interviewers go round to selected households, knock on their doors and return to the same addresses as many as nine times – with the goal of securing the most representative sample possible. In 1984, the report made clear that public priorities were quite different from those of the government. The government’s spending priorities of the time – defence, and law and order – were in fact only prioritised by 4 and 3 per cent of those asked. Similarly, in recent years the British Social Attitudes survey has been shining a light on the public’s hardening attitudes to welfare, with the survey findings at the heart of political debate about public support for austerity. The survey was also central to highlighting the myth of common law marriage, showing that a large percentage of the population did not realise that a couple living together were not entitled to the same legal rights they would have if they were married. The most important thing about the British Social Attitudes survey is that year on year, it remains surprising, challenging assumptions we might not even have realised we held. In place of a ‘moral majority’ which never really existed, we find that the ‘public’ holds a diverse but often carefully considered set of opinions. As a society, our thoughts on complex issues are rich and nuanced. If we assume otherwise, we’re underestimating ourselves.